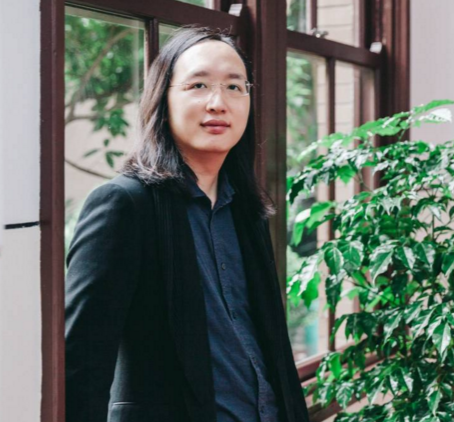 As a transgender woman and one-time anarchist revolutionary, Taiwan’s digital minister, Audrey Tang, has spent her life challenging preconceptions. Now Tang – the world’s only transgender minister – is bringing her iconoclastic approach to the job, seeking to break down barriers between government and business and help entrepreneurs find solutions to social problems. Countries can only solve the problems they face if government, business and the social movements, to which she devoted her time before becoming a minister, make common cause, she said in an interview with the Thomson Reuters Foundation. Since she became a minister in 2016, Tang has pledged to give social enterprises – businesses that seek to benefit society as well as making a profit – preferential access to government contracts. The first went to Agoood Inc, which hires people with Down’s Syndrome, to design leaflets. Since then, social enterprises have been hired to train disabled people, and help them find jobs. Tang said social enterprises were increasingly filling gaps in the market for services once seen as the exclusive preserve of government – and often doing a better job. Agoood, for example, has helped street vendors who use wheelchairs boost their trade, by offering phone charging and wifi facilities and Fairtrade coffee. Tang was among the activists who occupied Taiwan’s parliament building in 2014, to protest a trade deal with China that they said had been agreed in secret. Thousands of young supporters, many of them students, rallied on the streets of the capital for weeks in what became known as the ‘sunflower movement’. In the tense aftermath, the government offered Tang a ministerial post, hoping she could help them prevent a repeat of the protests. Her anarchist principles make her an unconventional minister – she refuses to take or give orders and practices ‘radical transparency’, making details of all her dealings – including a transcript of this interview – publicly available. Tang, who changed her name and began taking hormones when she was 24 after deciding to transition, has said her brain “knows for sure that I’m a woman”. Despite a long working day, Tang makes sure she gets eight hours sleep, saying this is when she comes up with her ideas. During her free time, she enjoys ‘troll hugging’ – engaging with those who attack her on social media, and sometimes befriending them. “Once you learn there are some common values there are no enemies anymore,” Tang said.